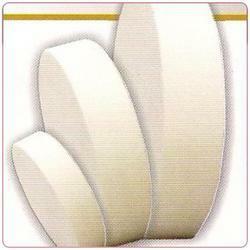 Leading Manufacturer of knife edge discs, mandrel mounted felt bobs, polishing felts, unmounted felt bobs, felt cones and felt discs from Jaipur. The Knife Edge Discs that we use are made from the best quality material. These materials have been obtained from reliable and trustworthy vendors. They are availed in different dimensions and are cherished for their outstanding finishing functionality. They undergo stringent quality checks and are made under the guidance of professionals. They are reasonably priced and are immensely affordable. Made from high density felt & accurate in size. 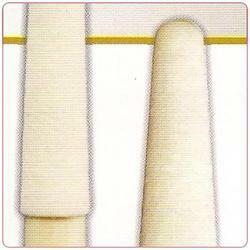 We are the prominent providers of this Mandrel Mounted Felt Bobs that have been made using the best quality raw material. They are vital as they are available in different dimensions that produce efficiency in work. Specifically, these Mandrel Mounted Felt Bobs are round in shape with a handle beneath it. They have been appreciated as they have been used to give improvised finishing to industrial as well as other metals. 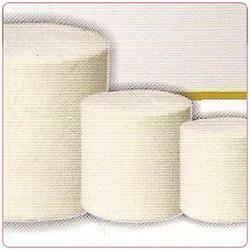 We are the renowned manufacturer, exporter, wholesaler, importer and supplier of Polishing Felts. 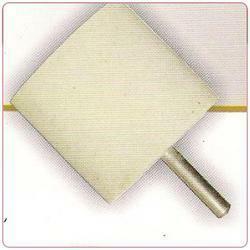 The offered polishing felt is made by using best quality raw material and modern methodology by our workforce. 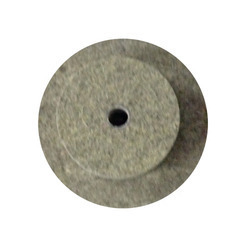 This polishing felt is suitable for diverse polishing application for a variety of surfaces & materials. Our polishing felt is checked on quality parameters for assuring the quality before the dispatch. We are the manufacturers and suppliers of Unmounted Felt Bobs that have been made from the best quality material. They appear to be cylindrical in shape and are widely appreciated for its outstanding use. These Felt Bobs are available in varied dimensions thereby, giving impressive choice. They are functional and have proven to be of immense use pertaining to the finishing of metals. They are availed by our clients in market leading prices and have been cherished for their remarkable quality. 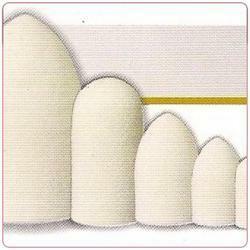 We are known for manufacturing Felt Cones that are made from the best quality possible. They appear to be cylindrical in shape with a dome like structure over it. They are well appreciated and are known to be of the top quality. 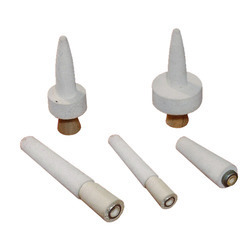 These cones are used to give perfect finish and finesse and are well known in the market. They are available in different dimensions and are appreciated for the efficiency it projects. 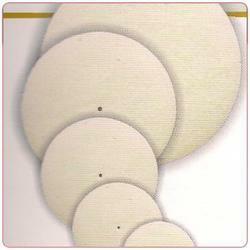 We are the proficient manufacturers of Felt Discs that have been manufactured keeping in mind the best quality. They are circle is shape and are usually used for giving faultless finish to metals. These discs are impressive as they have all the functional properties of good Felt Discs. They are availed by our clients in various dimensions in accordance to the choice and have complimented its functionality. We are known for providing globally renowned Ring Buffs that have been mad from the best quality material. These materials have been obtained from vendors who are dependable. They appear to be conical in structure with a handle for holding it appropriately. These buffs are used to give fine finishing to metals of all origin. They are available in various dimensions and are well cherished. They are availed by our clients in market leading prices and have a remarkable quality. 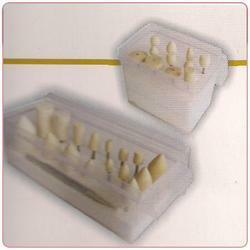 We provide our clients with the best range of Polishing Kits that have been made from the best quality material. These materials have been procured from reliable and dependable vendors. They are available in different dimensions and are known for their quality centric performance. These kits are well maintained and are packed in a diligent manner. They are availed in market leading prices which are affordable and have satisfied the clients to the brim. 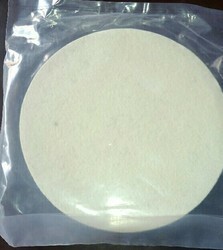 We are offering our clients a wide range of Polishing Felt Disc. Our products are highly demanded by the clients for their durability and precision. The products we offer are widely used to polish various things that can so be availed in different sizes and patterns. Keeping track with market development we are engaged in offering comprehensive array of Felt Grinding Wheel. 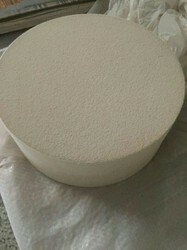 The given grinding disks are designed in adherence with the quality standards by using basic material and modern techniques. 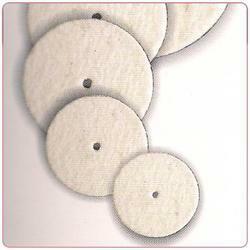 These grinding disks are customized as per with the varied specifications of clients. 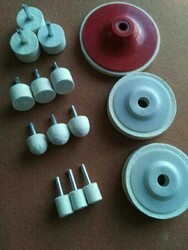 Offered grinding disks are checked at our end in order to supply a flawless range in the market. Looking for Polishing Felts ?